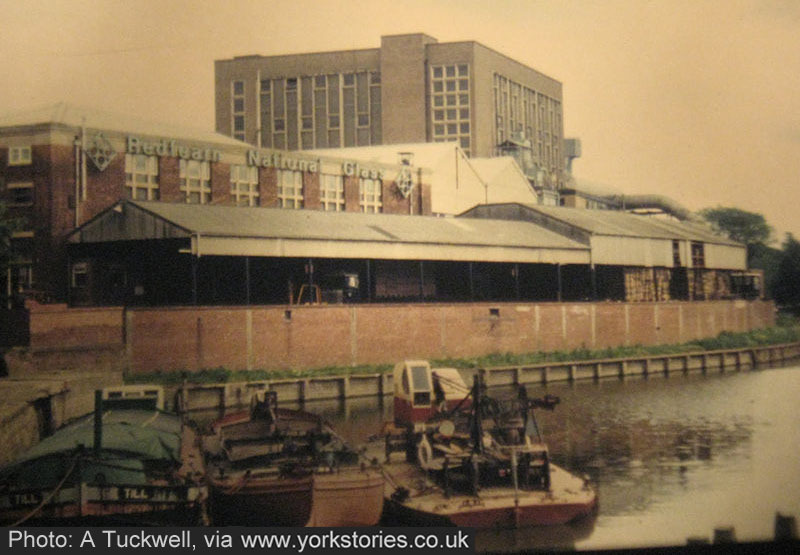 The factory alongside the Foss, pictured here in 1977, closed in 1984. Thanks to everyone who has added the comments below since then, particularly those remembering working here. Sorry I haven’t been able to reply to them all. 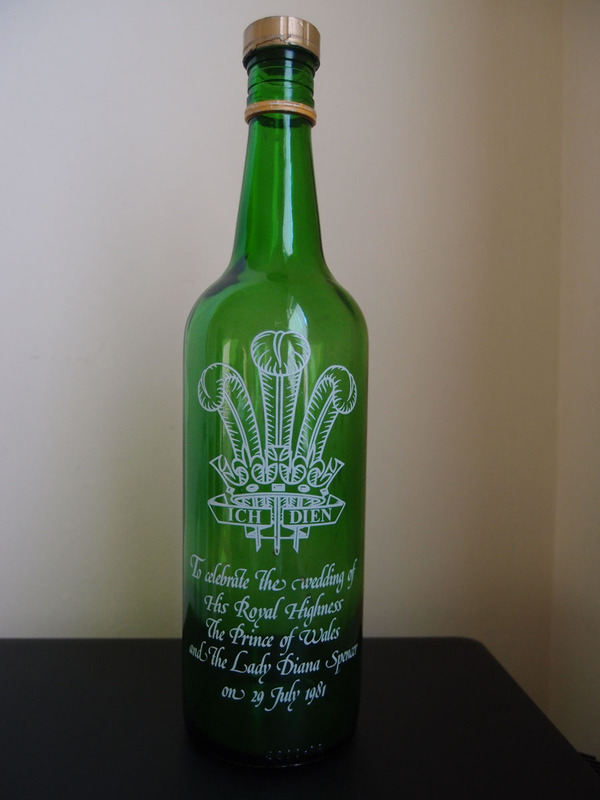 But a recent comment/query from Daniel reminded me that I really should get around to adding photos of three bottles I have, which were made here in the 1970s and 80s. 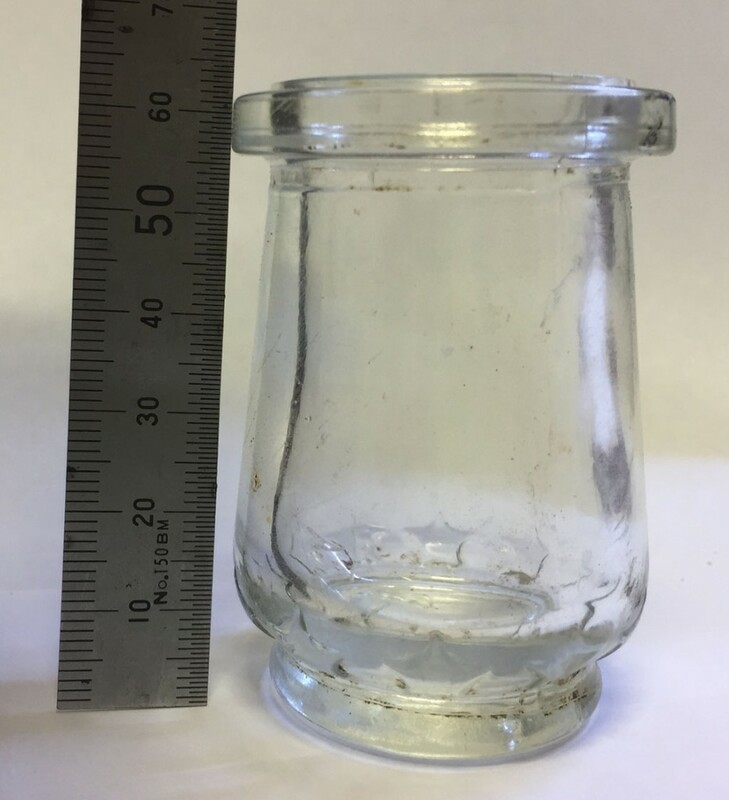 Below my photos are photos Daniel sent me of the small jar he has which appears to have been made here at an earlier date, when the factory was the National Glass Works (York). N in a diamond……………National Glass Works (York), Limited, Fishergate, York, Yorkshire, United Kingdom (c.1930-1967). Known as York Flint Glass Company, founded circa 1837. 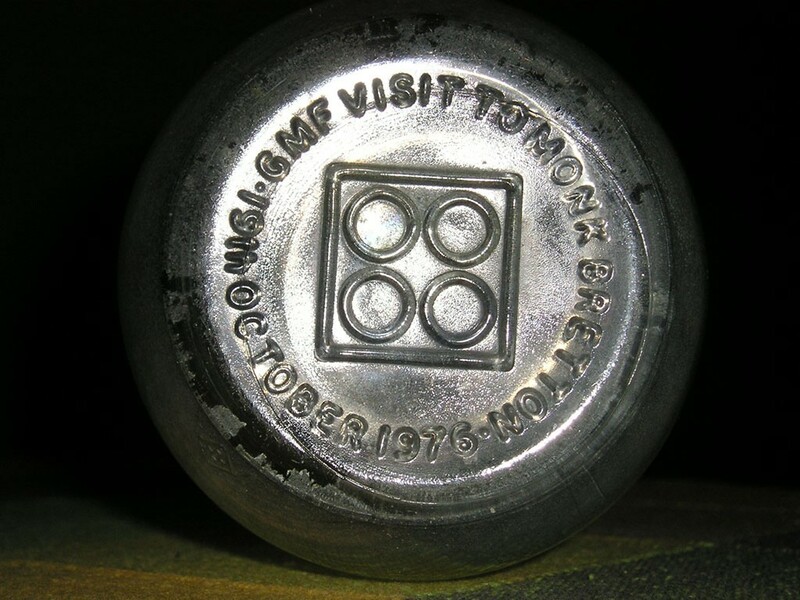 Incorporated as National Glass Works in 1930. 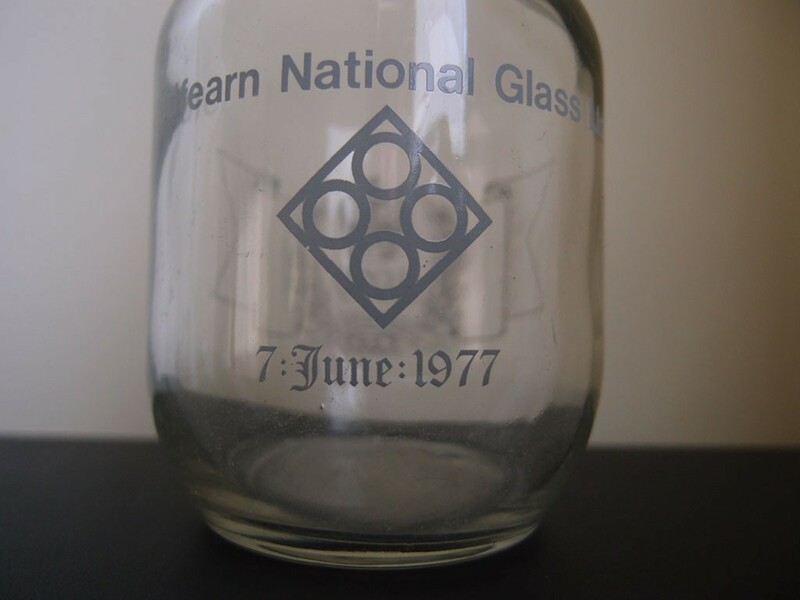 National merged with Redfearn Glass Works in 1967. York factory closed c. 1984?? Exact stretch of years of usage of the N-Diamond mark is unclear, but it was surely in use at least during the 1950s and 1960s. 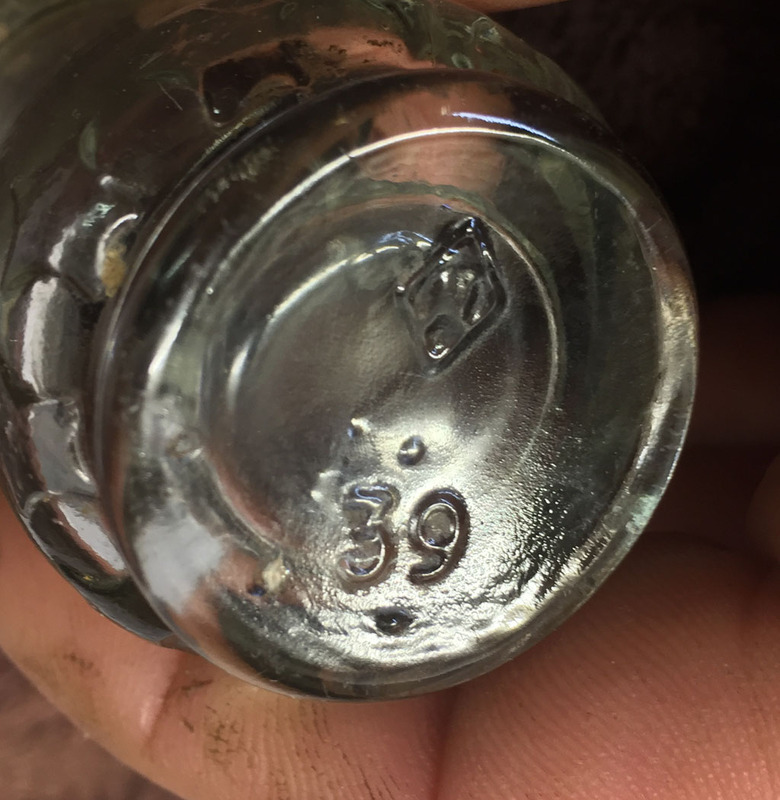 Additional info on dates of usage of the mark is sought from readers! — a photo alongside has the accompanying caption ‘(As seen on base of kitchen canister or spice jar)’. This might be what Daniel has? His example seems to have ended up in Australia. If you appreciate this long-running (and advert-free) online resource, and find it useful, virtual coffees are always appreciated by the person who makes it all happen and keeps it going. Thank you for supporting York Stories. It was a great place for a student to get holiday work as it paid really well – £100 a week in 1979 when my rent was £5 a week! The site was really tightly filled in with machinery as they had been there for ages and squeezed in higher capacity equipment. It ran continuously making millions of ordinary bottles and jars, just stopping for a week at Christmas. Molten glass dripping down from furnaces overhead into mechanical blowing machines; long annealing ovens; conveyor belts and packing machinery. Noisy, hot and busy, but it was nice to take a break on a night shift and watch the sun rise over the Foss out at the back, then cycle home at 6.00 while the rest of the city slumbered. I have a framed statement from the Purchasing Manager, Tom Bucknall, if anyone knows if any of his family are still around, or if there is some sort of museum of memorabilia please let me know. I remember the clock very well. I worked at York NGW commencing 9th September 1956 when I was 24 until 1977 (A few months short of my gold watch. 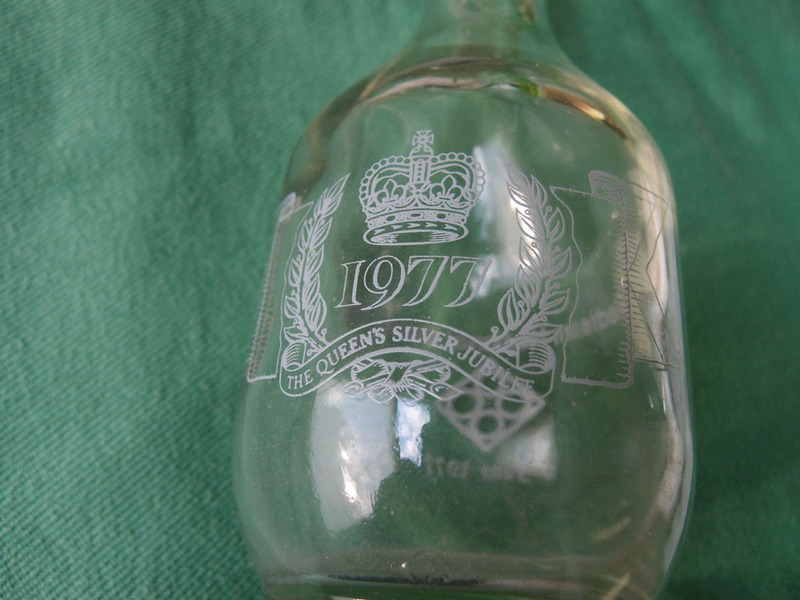 Lol) I still have the two bottles of sherry given to us to commemorate the queen’s silver jubilee in 1977. Still unopened. For my sins, I was in quality control for many of those years. Your comment has reminded me that I also have a couple of commemorative bottles from the glassworks, given to me by a relative – though mine are empty (and were when I got them). I will try to get around to adding photos of them to the page above. Nice to know you remember the clock mentioned too. I a m trying to trace Peter Coates, we had walking club, Group Four Walking Club. 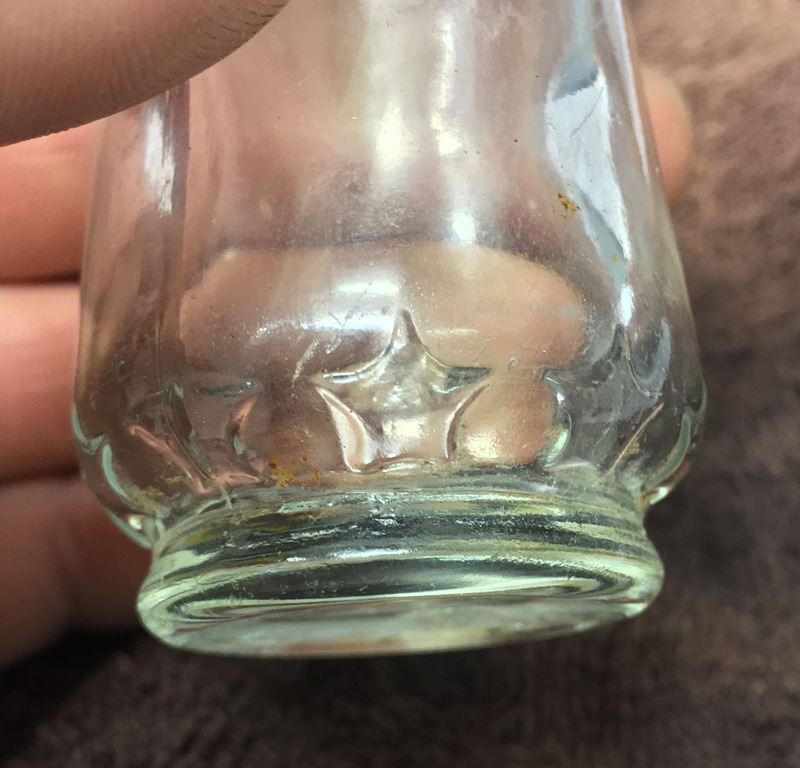 I have a little jar with stars around the bottom of it with the “N” in a diamond on the base . I’ve tried researching this but can’t find anything could someone help me if I provide pictures. Further to the general discussion on the factory, one of my ancestors worked there from the late 1870s until his death in 1914. Henry Casper (born 1860 Friargate, died 1914 Alma Terrace) was initially an apprentice and went on to become a Glass Blower: he was also part of the team that made and installed new Windows in St. Wilfred’s Catholic Church in Duncombe Place. He was followed into the trade by two of his sons; Thomas Henry, who moved to Barnsley at the new Redfearn glass factory; and William who became the Branch Secretary of the Glass Makers Union. Daniel, there are a number of records held at YorkExplore concerning the successor to the National Glass Works (York): Redfearns. A few years ago I remember searching for the location of papers relating to any worker’s records that may b archived somewhere. Unfortunately I can’t remember the exact location of where I traced them to but I have a vague memory of it being Barnsley: possibly a Community College; or some museums trust. Redfearns were a Barnsley company so that would make sense. Good hunting. I worked part time as a cleaner in the glass factory when I was doing my D.Phil. at York University in the late 1970s. I had a flat close by and my wages from my cleaning work paid the rent. I have happy memories of my time there and of the other (all ladies) cleaners who used to give me mountains of misshaped chocolates from Rowntrees and Terrys where their husbands worked. They all kept me very grounded while I was doing very esoteric research and I will always remember their kindness and support. It was a good place to work. I worked at Refearns from 1969 to when it closed in 1983 started as packer and then became a sorter, worked on group 3 to start with and then moved to group 1, then moved to hot end and became an operator then moved on to the mould change, from there I moved to the furnace until it closed. That comment regarding the pictured jar; ‘As seen on base of kitchen canister or spice jar’ looks like a Shippam’s paste jar that was made during my time working there (1978-1980). Accept the one pictured is a lot older, but it looks almost identical to the one during my time there. Shippams meat paste jars were produced on c7 and were on nearly permanently,there was rumor, that they covered the cost of all other containers produced. Lovely to visit this website… My dad, David McDonald, worked in personnel at Redfearns in the early 70’s. He bought home a rough glass ingot from one of the old crucibles; I still have it. He always got excited about finding the Redfearn stamp on the base of bottles in subsequent years!